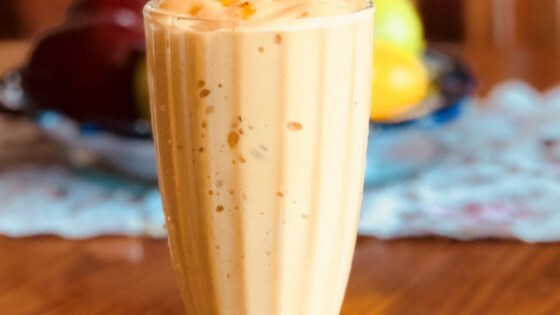 "A great turmeric smoothie loaded with protein." Combine almond milk, papaya, protein powder, turmeric root, and ginger root in a blender; add ice and blend until smooth. This has a very different flavor. 4 stars because of the unique flavor in this smoothie. It was also good. This has a unique flavor with the tumeric, we liked it & will make again. I used soy milk instead of almond milk for protein reasons and I upped my papaya to 1 cup because I needed to use it up. Smoothie came out nice, thick and delicious. Will make again.